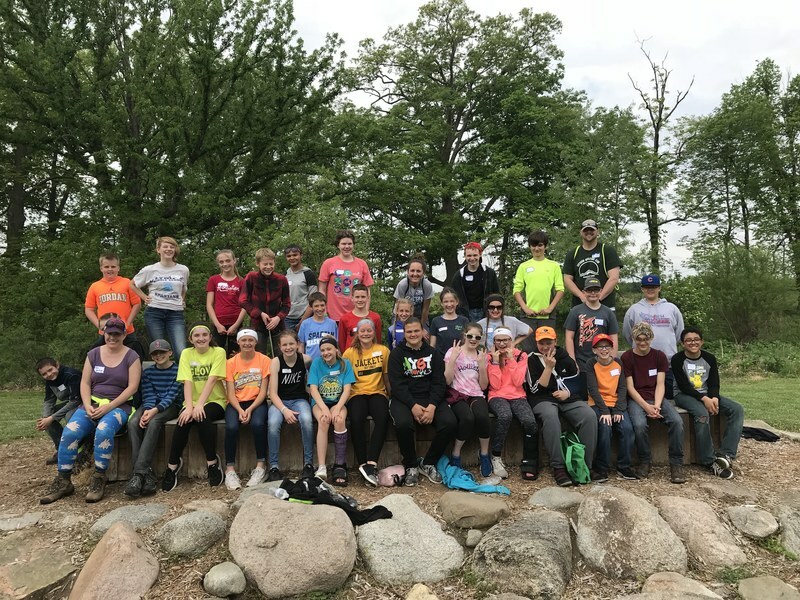 The Olympia Middle School sixth graders enjoyed another spring day at Funks Grove on Tuesday, May 15th. 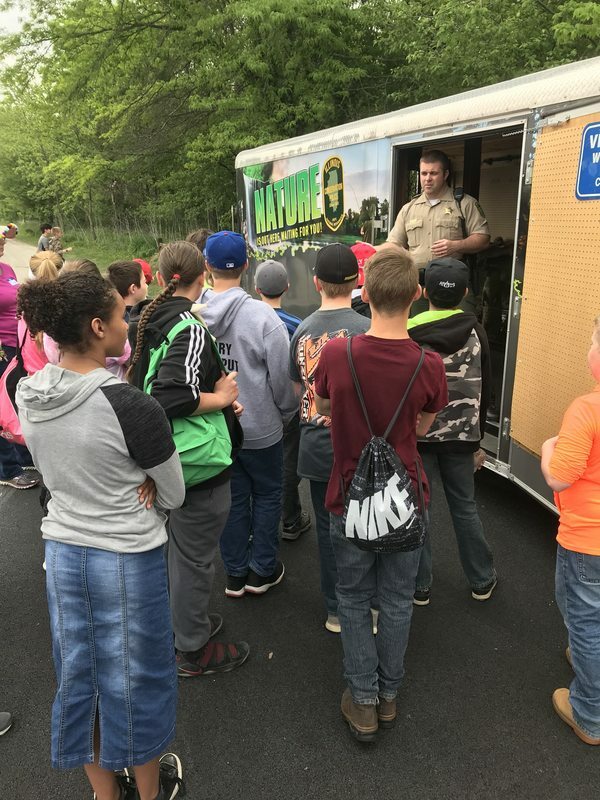 The purpose of this day is to learn about biodiversity and promote stewardship for our environment. 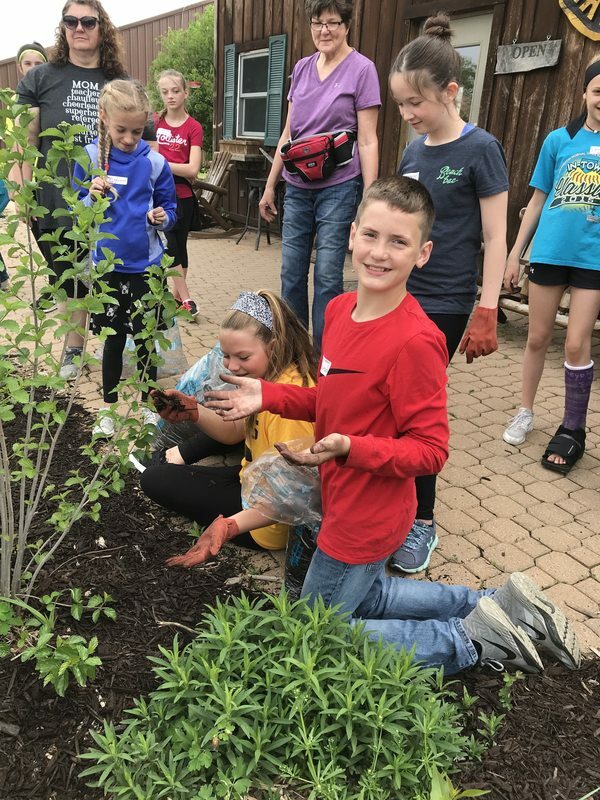 The students spent the time in small groups moving between learning stations and spreading mulch around the Sugar Grove Nature Center. 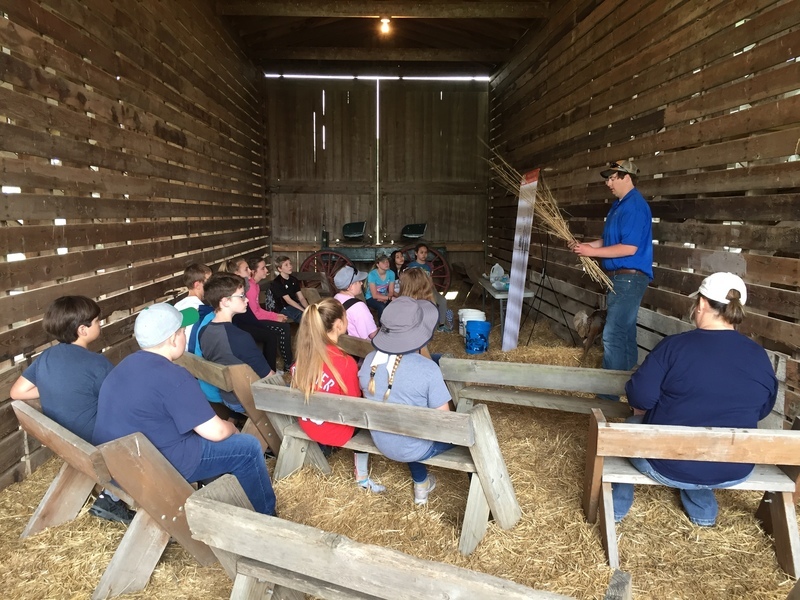 Topics of learning included responsibility and respect for the animals and natural surroundings of the state of Illinois, preserving our prairie, bird identification and habits, and railroad safety. 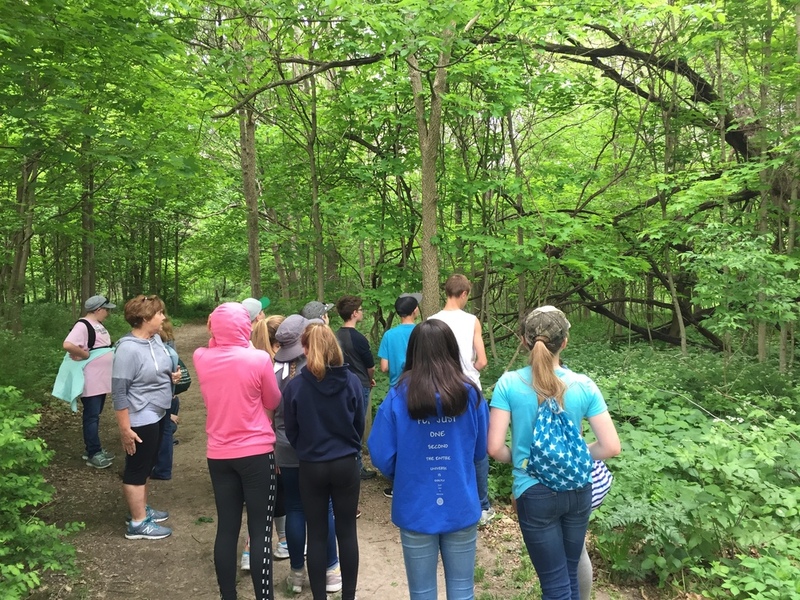 Students also enjoyed a guided hike along the nature trail and a stop at the campfire to enjoy s’mores and free time. 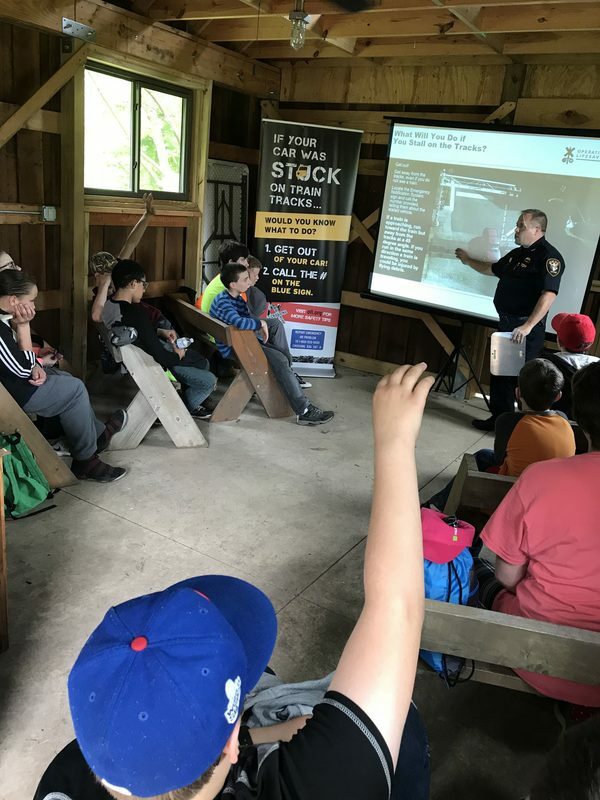 The costs associated with this day are generously provided by a grant through the Illinois Department of Natural Resources. 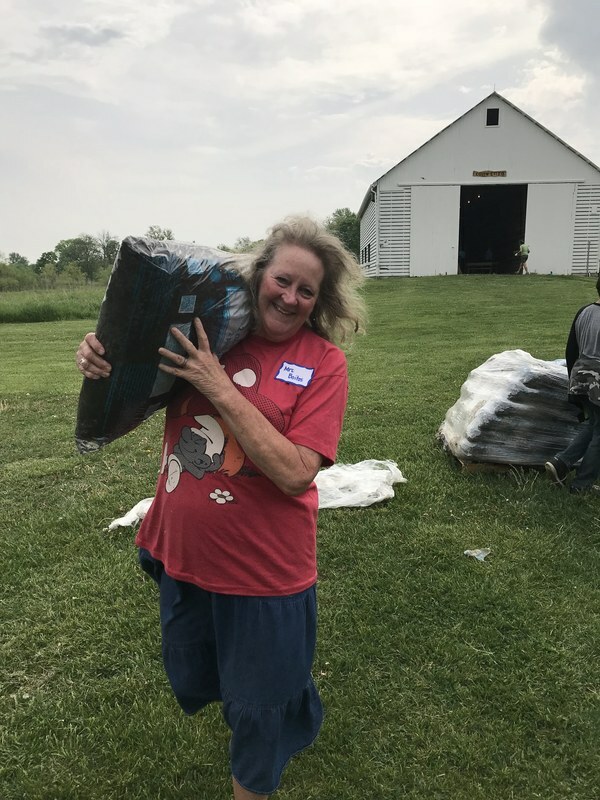 This grant is made possible by donations from Independence Tube Corporation, the Daniel F. and Ada L. Rice Foundation, and the D. F. and M. T. Grohne Family Foundation.